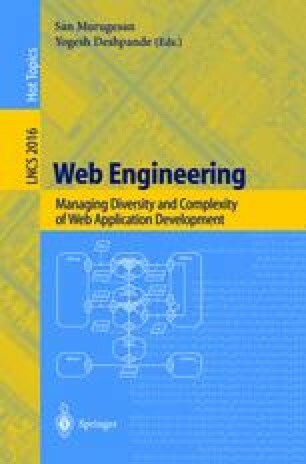 In this paper we introduce Web design frameworks as a conceptual approach to maximize reuse in Web applications. We first discuss the need for building abstract and reusable navigational design structures, exemplifying with different kinds of Web Information Systems. Then, we briefly review the state of the art of object-oriented application frameworks and present the rationale for a slightly different approach focusing on design reuse instead of code reuse. Next, we present OOHDM-frame, a syntax for defining the hot-spots of generic Web application designs. We illustrate the use of OOHDM-frame with a case study in the field of electronic commerce. We finally discuss how to implement Web design frameworks in different kind of Web platforms.